Paint binds well to the canvas weave. It is archival, depending on the quality of the canvas. It has stood the test of time and has been used for centuries by many masters of painting. It is lightweight and portable (which is particularly important if you are painting plein air). The downside is that it can be an expensive support to paint on, depending on the quality of the canvas. Canvas is usually made from either linen or cotton which is woven and stretched over a frame or glued to a board. Linen produces a higher quality and more archival canvas but it is also more expensive than cotton. The weight of the canvas refers to the thread density and is usually measured in ounces per yard. The higher the weight of the canvas, the better the quality. 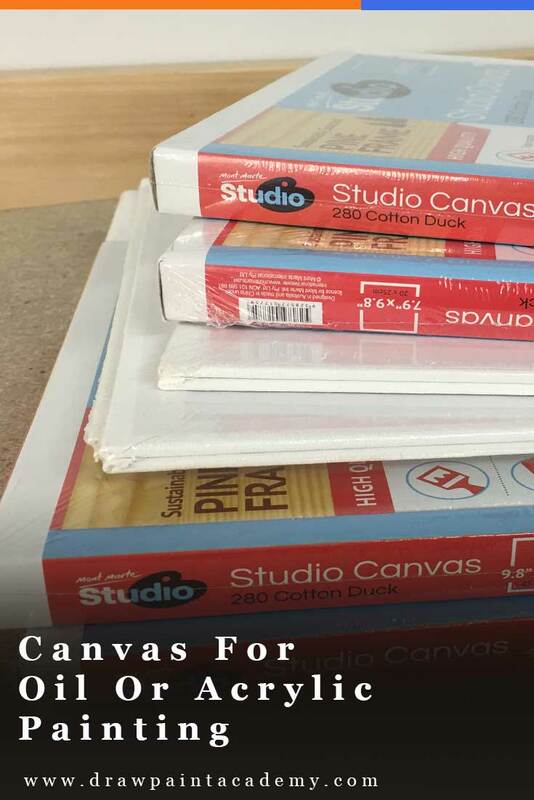 There are various types of canvas supports you can use for painting such as stretched canvas, canvas rolls, boards and pads. These are discussed below. Stretched canvas refers to canvas which has been stretched over a wooden frame (known as stretcher bars). This is the go-to canvas support for most artists. Stretched canvas comes with either a thin or thick edge. 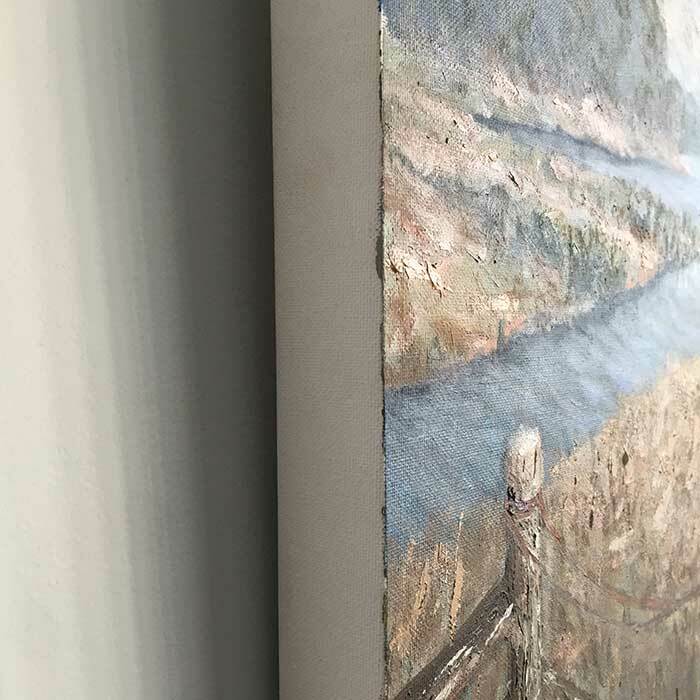 The thin edged canvas is perfect if you want to frame your painting at a later stage. The thick edged canvas is gaining popularity at the moment as it looks very presentable even without a frame. I personally use thin edged canvas for most of my paintings, as I like the idea of having my paintings framed. 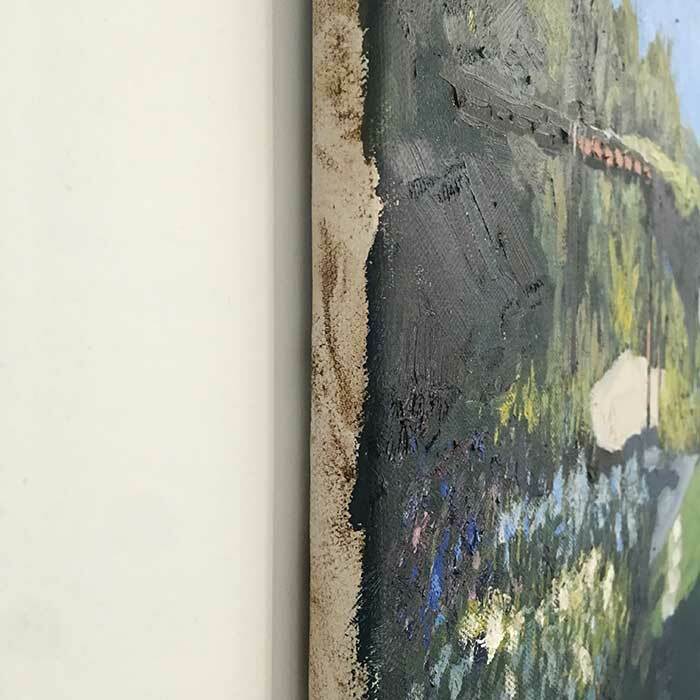 11 Things To Do After You Finish A Painting - In this post I show you how to present the edges of your stretched canvas. 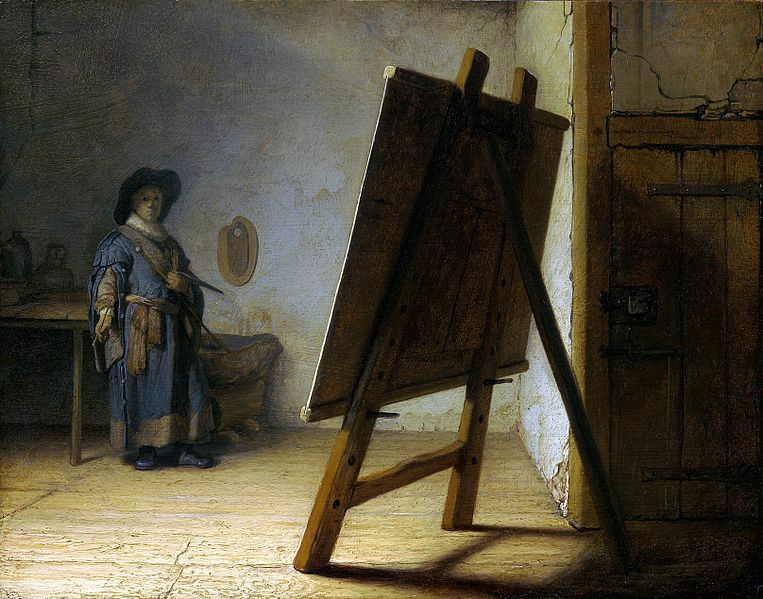 How To Start An Oil Painting - Some information about how to prepare your canvas for oil painting. It is possible to stretch your own canvas and it can work out to be much more affordable. To do this you need to purchase a canvas roll and attach it to stretcher bars. You will also need to ensure the canvas is primed with a layer of gesso (which is kind of like a thick, acrylic paint). I personally do not bother stretching my own canvas, as I prefer to leave that to the professionals and I would rather spend more time painting. But you may want to try it out for yourself. Just make sure to do your research before you attempt this and don't forget the opportunity cost of your time (it may not be cheaper to make your own canvas after taking into account the time you invest). 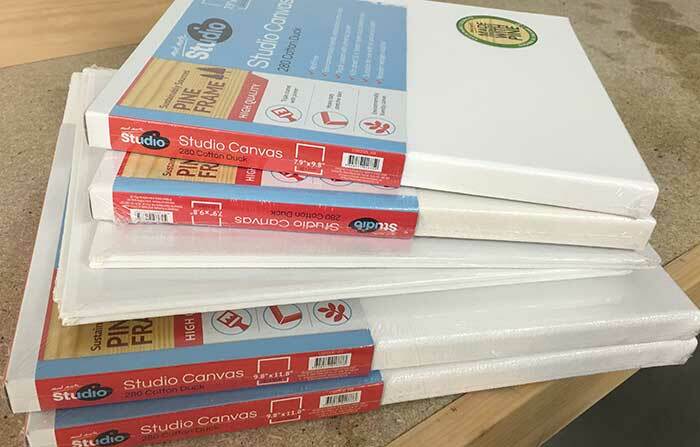 Canvas boards (or panels) are a cheap, sturdy and portable alternative to stretched canvas. But they are prone to warping and are usually less archival. Canvas boards also need to be framed to be presented, unlike stretched canvas which can be hung straight on your wall. I use canvas boards for any studies, demonstrations or if I need a support which is extremely portable and sturdy (for example, if I am traveling and need to pack the support in a bag). 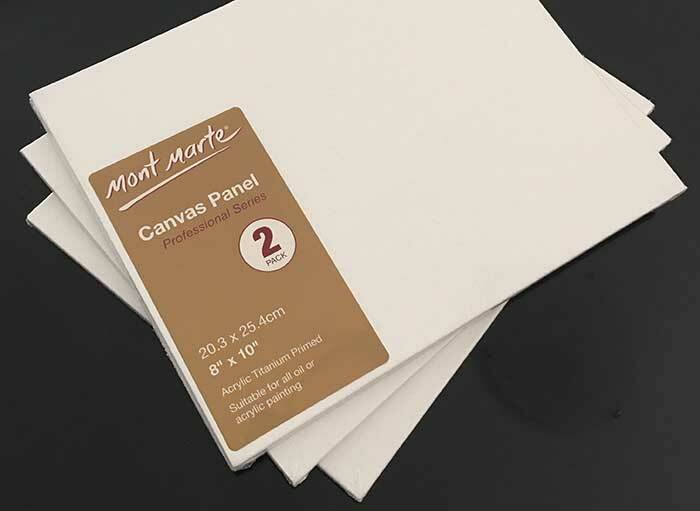 Canvas pads contain primed canvas sheets which are fantastic for quick studies. The pads are relatively inexpensive compared to the other options, however they are not that suitable for your showcase pieces. Affiliate disclosure: There may be affiliate links to recommended products in this post. If you purchase through any affiliate links I will receive a small commission at no additional cost to you. These funds are used to help grow this website and spread art education to people around the world. Thanks! You dint discuss watercolor paper at all. Maybe you don’t know anything about it?